Children's Dental World is an Invisalign Diamond+ Provider for both Kids and Adults! 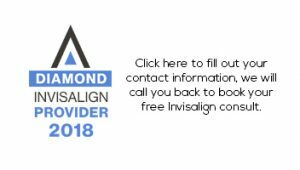 Book an appointment today to experience Invisalign for youself. Book your appointment at our Regent location today with Dr. Alvaro Salles! Children's Dental World is excited to announce it 's third location in the City of Winnipeg located at 6-1592 Regent Avenue West is now open! Sign up for our newsletter below to be the first to know!